No matter what cut or style is in fashion, one that can't be beat is a sleek bob. If you have short hair, we're sure you agree. It seems like Sayani Gupta does too. 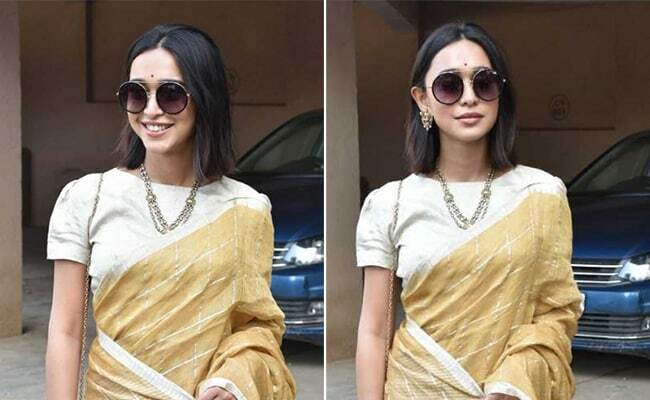 At a religious function, Sayani opted for an Anavila saree in beige and mustard tones with sunglasses and minimal jewellery. Complementing it was a centre-parted straight bob hairstyle that looked fabulous on her. The next time you'd like to style your short hair in a sleek bob, look no further than these 5 products. 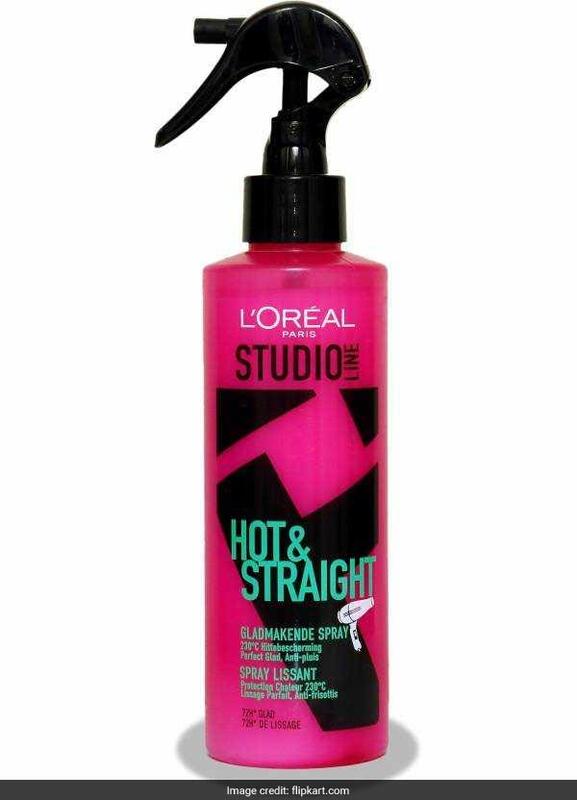 The L'Oreal Studio Hot & Straight Spray is meant especially for the hair straightening process. It protects tresses from high temperatures of heat styling and stops frizz in its tracks. 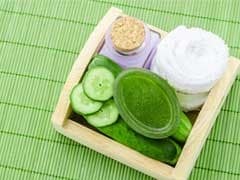 It is available for Rs 889, reduced from Rs 1,050. Shop here. 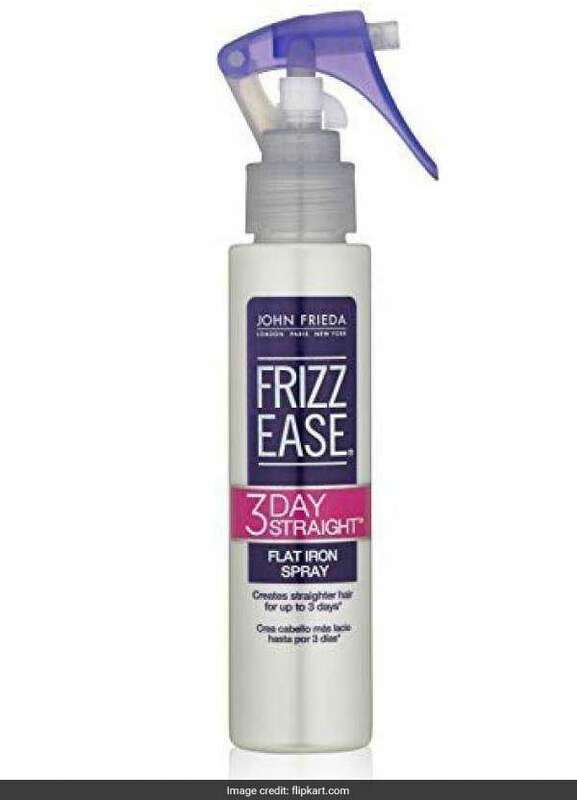 There's also John Freida Frizz Ease Flat Iron Spray, which is a great companion when ironing one's hair to drive away frizz for 3 whole days. It is available for Rs 1,895, reduced from Rs 1,995. Shop here. The Jose Eber Petite Flat Iron is what every short haired girl needs to straighten her hair. 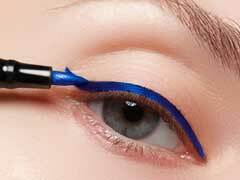 It is ergonomically designed and 6-inches in sizes, making it easy to maneuver and iron short lengths. It is available for Rs 3,522. Shop here. 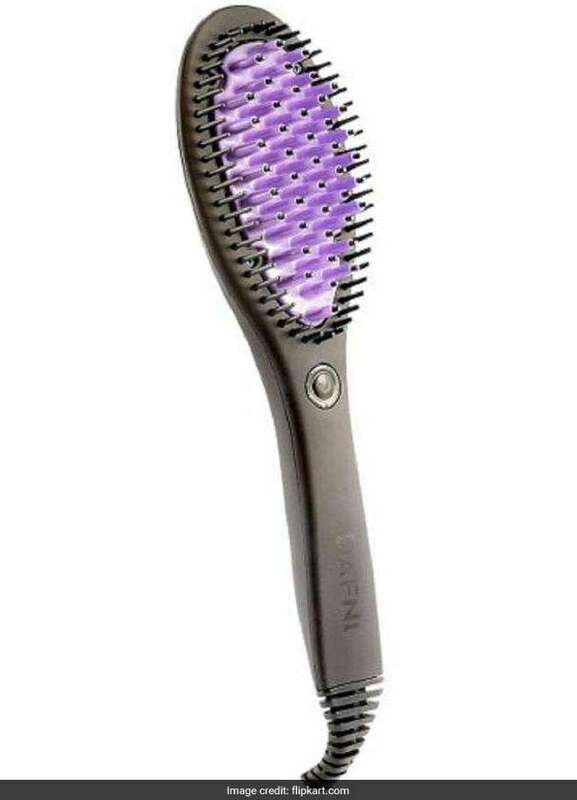 For a quicker route to straight hair, choose the Dafni Hair Straightening Brush, the original heated ceramic hair brush that took the world by storm. 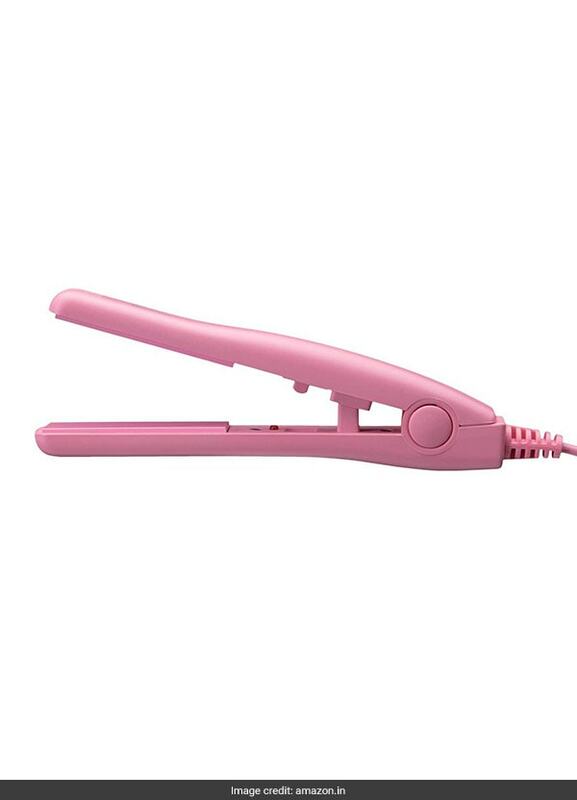 It maintains constant temperatures and drastically reduces the time spent straightening. It is available for Rs 12,499, reduced from Rs 15,999. Shop here. 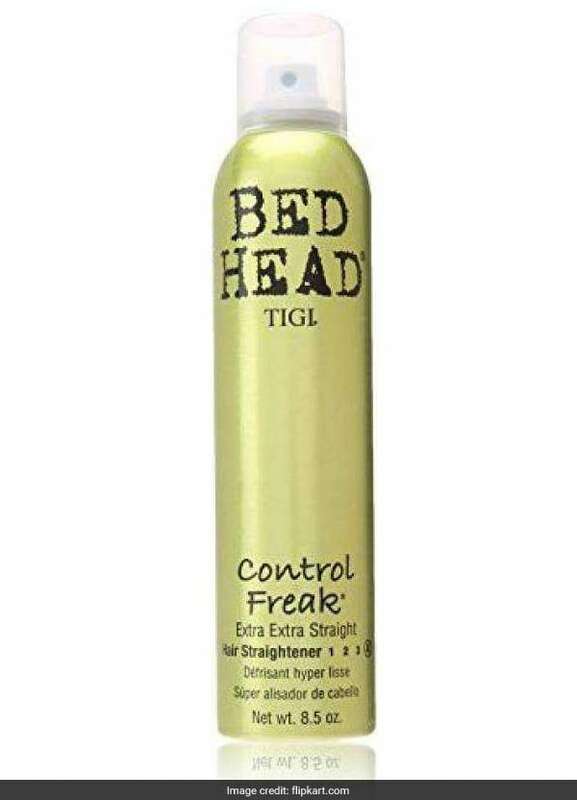 The TIGI Bed Head Control Freak Hair Spray promises hair that is extra, extra straight with straightness of level of 4. It is available for Rs 5,577, reduced from Rs 7,632. Shop here. Will you be trying these for your next hair styling session? Tell us in the comments.